Bus transfers: Do you need a bus transfer in Mecklenburg-Vorpommern from the airport to the city? From one other city to another? Or are you planning a multi-destination trip? No problem: send a request to Germany Bus detailing your travel expectations and mention any indication that might help us defining your demand. We will shortly come up with the best estimate for a personalized offer. Germany Bus' partners will be delighted to count you as part of a trip in Mecklenburg-Vorpommern. Sightseeing tours: Are you searching for a coach with driver to drive you around in Mecklenburg-Vorpommern? Do you wish to add Rostock, Schwerin or Stralsund to your tourist itinerary? Would you like to hire a competent guide who could convey his knowledge of the wonders, lead you to the hangouts of Mecklenburg-Vorpommern and explain you the particularities of its culture? Search no more and contact Germany Bus; we will do everything to find the optmium bus for your sightseeing tours in Mecklenburg-Vorpommern and hire the services of a local guide. Excursions by bus: Are you planning more than a simple sightseeing tour? Would you prefer to go on an excursion by bus in the countryside? Or maybe visit a bordering city or country? Thanks to Germany Bus you have the possibility to rbook a coach with driver in Mecklenburg-Vorpommern for excursions to the wished destination! We will tailor an offer depending on your indications, whether you need a van for a half-day excursion with a local guide, a full bus with driver for a whole day, even order menus for your group or book tickets for special events; we will set up the most practical program for your tour in Mecklenburg-Vorpommern! Travels by bus: If you wish to travel across Mecklenburg-Vorpommern for several days but you are also attracted by Denmark, Poland or Schleswig-Holstein, Germany Bus is at your disposal for fiying up your journeys in Mecklenburg-Vorpommern by selecting the most appropriate buses and drivers who will drive you to the destination of your choice. In the event that you would resort to other tourist services apart from the renting of a bus, the tour operator City Tours' team is waiting for your questions. Mecklenburg-Vorpommern Bus: Find available buses with conductor within Mecklenburg-Vorpommern, including Rostock, Schwerin, Greifswald, Stralsund, Neubrandenburg and Wismar - as well as any other city or municipality of Mecklenburg-Vorpommern. Bus rental Rostock: This company makes available to you buses of different size with driver. From the minibus to the double-decker bus, the bus rental company Rostock provides for coaches for any kind of trip in Rostock and in Mecklenburg-Vorpommern. Rent coaches with driver in Schwerin: Find and rent a coach with driver in Schwerin for your transfer or tour in Mecklenburg-Vorpommern, other parts of Germany, Poland and entire Europe. Bus company network Greifswald: the professional bus hire companies in Greifswald and surroundings can be booked for coach services of all types through this bus company networt from Mecklenburg-Vorpommern. Bus rental Stralsund: if you wish to rent a bus in Stralsund, this coach operator invites you to charter their minibuses, buses and double-decker buses with driver for any coach rental service in Mecklenburg-Vorpommern. Neubrandenburg charter buses: passengers who wish to rent a bus in Neubrandenburg can use this bus booking platform to charter a coach with driver from Mecklenburg-Vorpommern. 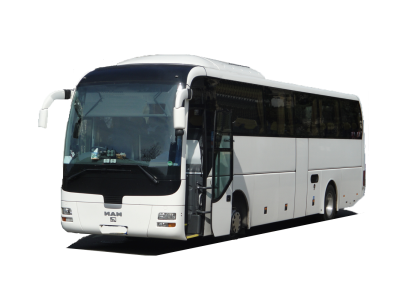 Bus & coach booking in Wismar: here, you can hire a bus with driver for any coach rental service in Wismar, in other places of Mecklenburg-Vorpommern, in other regions of Germany, and in entire Europe. Rent buses here for international bus transfers as well as for long-distance tours to Poland, to Denmark, to Sweden, to Netherlands or to any other destination in Europe.
. Germany Bus rental platform will gladly answer back as fast as possible. Rest assured that we will do everything to fit your needs. An estimate will be sent to you as to evaluate the price of your transfers, visits, excursions or trips in Mecklenburg-Vorpommern.